GEOINT | Ballistic Missiles in Jordan Valley? Home / Geoint / Israel / Missile Launching Facilities / Missile Systems / Opinion / The Middle East / United States / GEOINT | Ballistic Missiles in Jordan Valley? Israel’s security concerns have been exacerbated by ongoing missile proliferation in the region. In March 2003, “The Jerusalem Center for Public Affairs” predicted that missile threats to Israel would extend beyond Iraq (Rubin, 2003) . Currently, Iran, Lebanon, Syria, Saudi Arabia, and Libya all pose missile threats to Israel (Rubin, 2003) . In response to the growing interdependence of security needs between the United States and Israel, the United States adopted legislation H.R. 7177 The Naval Transport Act (2008) that secures Israel’s “qualitative military edge (QME)” (Shapiro, 2011) . The legislation provides for “Israel’s ability to counter and defeat credible military threats from any individual state, a coalition of states, or non-state actor while sustaining minimal damages or casualties”. The tool that is used by the United States to ensure Israel’s qualitative military edge is security assistance. For some three decades. Israel has been the leading beneficiary of U.S. security assistance through the Foreign Military Financing program, or FMF. Currently, Israel receives $3 billion per year in U.S. funding for training and equipment under FMF. To put this in perspective, the total FMF account is about $5.5 billion annually and is distributed among some 70 countries. So it is a testament to our special security relationship that each year Israel accounts for 60 percent of U.S. security assistance funding distributed through FMF. H.R. 4310 National Defense Authorization Act for Fiscal Year (2013) was signed into law by the United States on January 1, 2013. This legislation “urges the Department of Defense and the Department of State to explore with their Israeli counterparts and alert Congress of any requirements the Israeli Occupation Force may have for additional Iron Dome batteries, interceptors, or other equipment” (Sharpe, 2013) . Growing threats to Israel combined with the need for strategic advantage in the region by the U.S. can only mean one thing - growing militarization of Israel and the occupied Palestinian territories. While militarization of the Jordan Valley does serve the purpose of expropriating land from Palestinians, militarization serves a more important function. 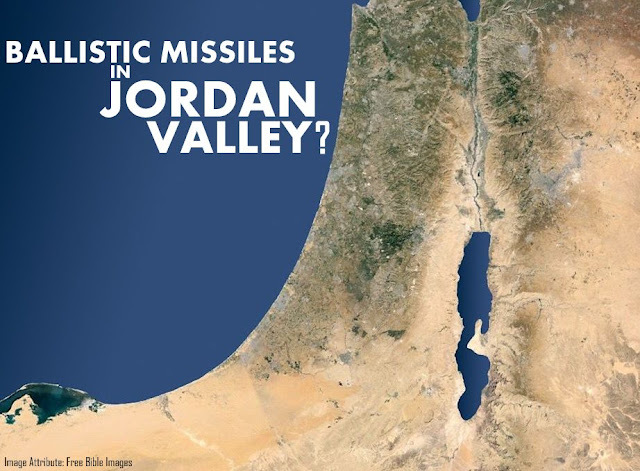 The strategic military value of Jordan Valley provides Israel with a military edge against its Arab neighbors and therefore, is particularly attractive to ballistic missile placement. To explore this possibility, satellite images were obtained in December 2014 by the author from Google Earth for nine specific sites located in the southeastern part of the Jordan Valley. These satellite images cover the time span of 1999-2012. One such site (SITE 1) is included here because of the military implications for Israel, the United States and the region. Site 1 is located at Latitude 31˚31'50.57''N and Longitude 35˚16'42.04''E. 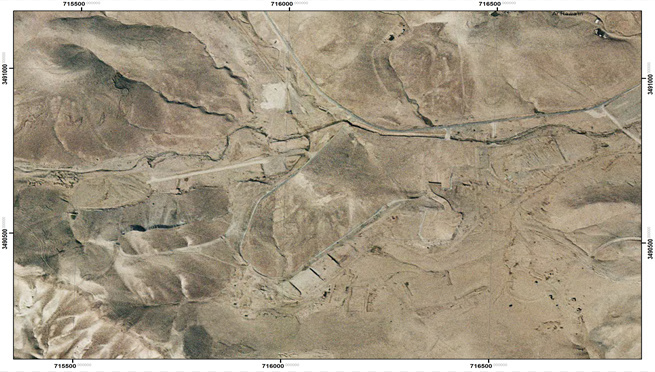 Initial construction of this military site began in 2001 according to the satellite imagery. Roads and building foundations can be readily seen. Imagery from 2003 reveals little headway in construction associated with this site. However, in 2007 satellite imagery reveals a nearly complete military base with associated ballistic missile defense silos and command center. The construction of this site is once again reflective of work conducted by USACE in Israel. 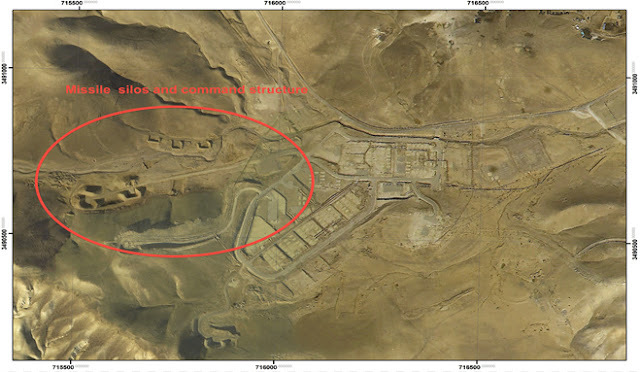 The USACE has been responsible for the construction of Israeli military bases and associated nuclear weapons facilities since the Wye Agreement in 1998. From 2008 on this particular site has fallen victim to censorship associated with national security concerns.